Roy-Pitz Brewing Company 's mission is to share a philosophy of a passionate fulfilling life, through the art of crafting quality beers, hard work, and the employment of good people. Ryan Richards (Roy) and Jesse Rotz (Pitz), friends since the age of six, met each other in the 1st grade and grew up together in Chambersburg, Pennsylvania. Their journey lead the two from grade school at Corpus Christi to their graduation from The Siebel Brewing Institute located in Chicago and Germany in 2006, a friendship formed over 20 plus years. Since its inception, Roy-Pitz Brewing Co. has won 23 medals at The World Beer Championships held in Chicago in recognition of their Liquid Art. Roy-Pitz partners their passion for Liquid Art with artists of all types; sharing their culture and brand across the arts, music, sports, hobbies and activities. In addition to the Roy-Pitz Brewery and Pub located in Chambersburg and our Barrel House in Philadelphia, you can find a variety of Liquid Art throughout Pennsylvania. The building where the brewery is located was built in the early 1900s. It is located on North Third Street within two blocks of the historic square and Franklin County Courthouse in Chambersburg. A three-story, industrial all-brick building consists of 20,000 sq. ft in total area. The brewery is currently located in the basement and is 6,000 sq. ft. of classic brick and old pine timber, which has been restored to its original look and texture. 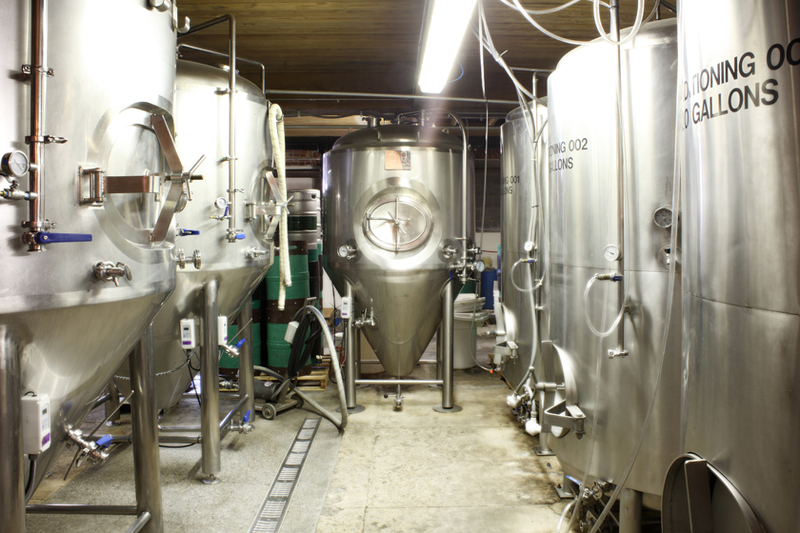 The brewery consist of a custom built 20 BBL Steam and solar heated brew-house, 20 BBL Fermentation and Conditioning Tanks. All our beer is unfiltered and unpasteurized for maximum flavor.